A couple whose children were removed from their home and eventually returned say the B.C. government caused needless suffering by keeping the family apart for almost four years. "It’s going to take a lot of healing," said Zabeth Bayne, mother of the four children. "There’s a lot of pain that gradually we have to deal with, and as a family." "Children grow up very quickly, and they can’t wait," said Paul Bayne, the father. "For four years, I couldn’t be a proper dad or provider or a protector. Now I can." The Baynes were accused in 2007 of shaking their six-week-old daughter. They’d brought her to hospital with inexplicable injuries, so the B.C. Ministry of Children and Family Development took her away. No criminal charges were laid. The couple always insisted their daughter's injuries, which included internal bleeding, were not caused by shaking, and several medical experts agreed. In 2008, after the parents protested publicly about the baby’s removal, the government seized their two boys, then about four and three years old, for involving them in the publicity. The couple later had a fourth child, a son, who was taken away at birth. P.O.V. : Should governments enforce limits on how long children can be kept in temporary care? Over the years, the children were shuffled among foster homes and had strictly supervised visits with their parents. "Our oldest boy kept saying, ‘I feel like I am the only one who visits his mommy and daddy,’" Zabeth said. "He didn’t understand what was going on, why he had to be separated from us for so long, and why he couldn’t see us. And we couldn't tell him anything." After a lengthy court hearing — with repeated delays and adjournments — Chief Judge Thomas Crabtree of the B.C. 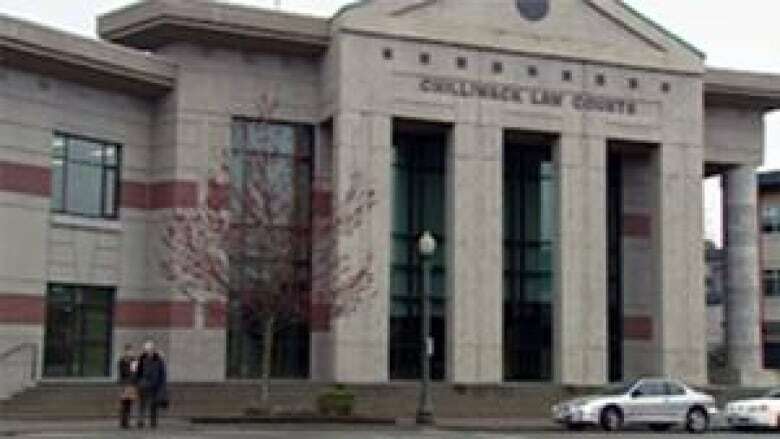 provincial court ruled the baby was not shaken, calling her injuries "unexplained." Crabtree's ruling came four months after he finished hearing the evidence. A psychological assessment was then done on the Baynes, which was favourable, and in August 2011, the government returned the children, with no explanation or justification for why it took so long. During their first weeks back home, the children clung to the parents. "They were sleeping in our room," Zabeth said. "They could not be apart from us or there were tears." Although the shaken baby diagnosis was wrong, it took an unnecessarily long time to get it overturned and to bring the children home, she said. "It’s not acceptable, and you see the damage that’s done, waiting for process," Zabeth said. Paul compares the slow pace of the court case to driving slow motion during an emergency. "It feels like your children are at home and someone’s trying to break into the house and you get a phone call — to get home as quick as you can. And your car is stuck in first gear. You’re driving five miles an hour trying to get home. It’s like, ‘Come on. Let’s go. Let’s go!’ It’s frustrating sitting in court saying ‘Let’s get going.’"
Zabeth says she and her husband were reluctant to complain in court, because the judge held so much power over their family. "Any frustration [over delays] can be twisted, and viewed that ‘Oh, there’s a temper there.’"
B.C. law specifies young children should not be kept in temporary care for more than a year. Although the Baynes say their lawyer raised this restriction several times, it was never addressed. "There’s no one held accountable for the timing," Zabeth said. "There’s no questions asked." Ministry statistics show, on average, children are being kept in temporary care three months longer than they were five years ago. In 2006-07, the average temporary care order was 13 months. In 2010-11, that increased to 16 months. 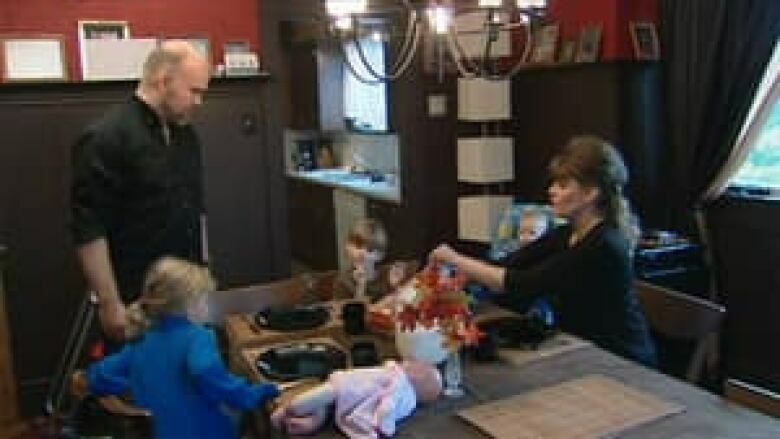 A parents advocacy group called People Assisting Parents Association, or PAPA, says too many cases drag on beyond the one-year limit, for no good reason. The group cites another case, that of an accountant and father of four from Victoria, whose one-year-old son was removed from the home in 2007. PAPA said the child has been in temporary foster care ever since, while the court case is repeatedly delayed. A custody hearing date is now set for June 2012. "The modus operandi of the ministry is to set a court date for a custody order and seek a long trial length (usually from five to 10 days), citing calling many witnesses and evidence," said spokesperson Stephen Luk. "In most courthouses, the date for a 10-day trial is generally 10 months to 15 months later." Carol Ross of the B.C. Association of Social Workers confirms that temporary care orders often extend beyond one year, partly because the court system is notoriously slow. "Time limits are not enforced," Ross said. "As long as the (court) case is initiated within 45 days, it can drag on and on. It’s frustratingly slow for parents. "What I see over and over is they don’t get the support they need … there is very little access to legal advocacy." She says social workers who are bound by process also feel the frustration. "It ultimately hurts the child … and it is heartbreaking," she added. "Within three months, I would think you can figure out what is going on." 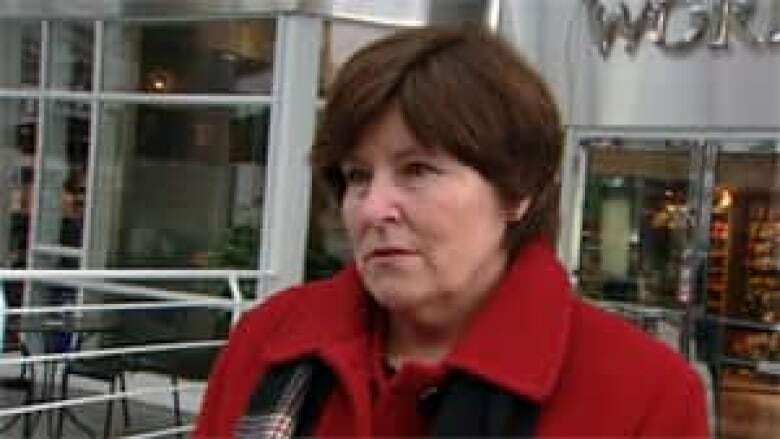 Mary McNeil, the minister for Child and Family Development, refused to comment on the Bayne case, but she agreed court delays are a problem. "I totally understand the frustration — I understand the frustrations for me — to make sure that families are returned together," McNeil said. "Each case is so different, and we’re not alone in making these decisions. And the decision to apprehend a child is taken very, very seriously." She says she wants to see more cases settled through mediation. "I’m really pushing the ministry … to make sure that we have the system in place and alternatives in place so families don’t have to go the court route. So that families can try to resolve what they need to through mediation, through family dispute mechanisms and through family group counselling." Paul and Zabeth Bayne say they couldn't have agreed to mediation, however. In that scenario, they would have had to admit they harmed their baby. "We fought back," Paul said. "When someone [in the ministry] makes a mistake, it’s pretty hard to go back, especially with what happened to our family and all the money being spent. "They’re not used to resistance," Zabeth said. "It went south and people dug their heels." The couple say they get emails every day from parents asking for help. They said they do not plan to sue the ministry for what happened. They'd rather try to help others in similar situations. "Your heart breaks over some of the stories that you hear," Zabeth said. "Something needs to change." The Fifth Estate explores the suspect science behind shaken baby accusations, in Diagnosis Murder, Jan. 13, on CBC-TV. P.O.V. | Should governments enforce limits on how long children can be kept in temporary care?